Alexis Hillyard’s hilarious YouTube series shows audiences how to have fun while cooking. When Alexis Hillyard was diagnosed as gluten intolerant, she made a conscious effort to begin eating healthier, home-cooked meals. A vegetarian at the time, she approached this new diet with a sense of enthusiasm, becoming more adventurous in the kitchen. Not long after, she decided to take on an even more regimented diet and become vegan. The new diet was a source of confusion and stress for family and friends. So in March 2016, Hillyard created Stump Kitchen, a weekly YouTube series focused on creating easy-to-make vegan and gluten-free recipes. 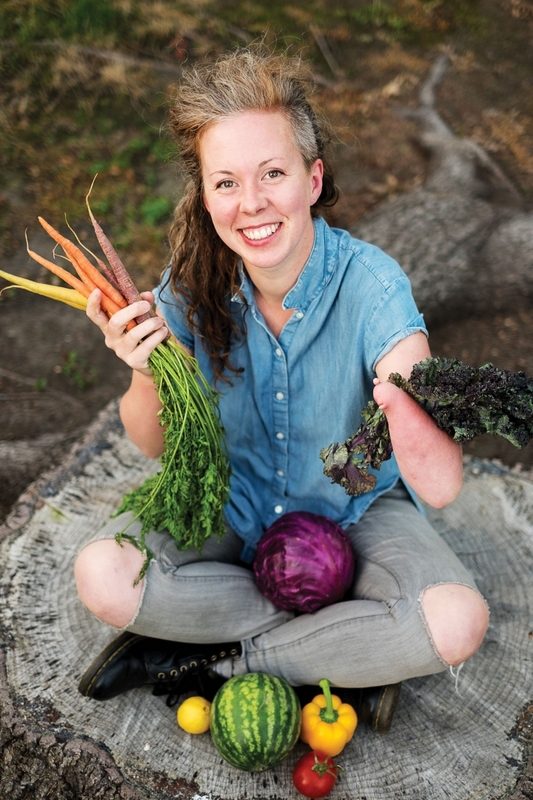 She approached the project with a sense of humour, naming it after the fact that she was born with only one hand. The joy Hillyard and her guests bring to the kitchen is obvious. In episodes that clock in at 10 minutes or less, they somehow manage to successfully prepare dishes as they joke, sing and dance around. And whether she’s juicing limes, scraping out avocados or piercing the seal on a new jar of peanut butter, Hillyard finds lighthearted ways to make each recipe truly “stumptastic,” often showing instant replays to highlight how having a stump can come in handy. Hillyard’s antics and bubbly personality are only part of the reason the show has received such a warm reception. Stump Kitchen‘s messy, authentic and hilarious approach to cooking provides viewers with a tried and true collection of recipes – something Hillyard believes is important for everyone regardless of allergies, sensitivities or preferences. “If you find five recipes that you know that you can make well – including breakfast, lunch and dinner – you’re set. As long as you have a few tools, you’ll be OK in the kitchen,” she says. As a Top 40 Under 40, class of 2013, Hillyard has spent most of her adult life inspiring hope and building communities. This latest project is just a continuation of her drive to help people in Edmonton (and beyond) live better, healthier lives.